At some point in our lives, we all have been afraid to go to the dentist. It’s just the fear of someone going through our mouth with all sorts of different instruments. While most individuals eventually overcome this fear, not all do. These patients find it hard to go to the dentist due to fear that ranges from being checked to operated on. Most of them have anxiety that usually relates to pain. As dental professionals, there are certain steps that can be taken to help patients overcome this fear. These step help patients overcome their anxiety and make their visits more pleasant. To help ease the mind of patients, it is important that you form a relationship with them. So before you start examining them, small talk with them to get to know them a little bit. This helps calm the patient down and also forms a personal connection with them. This connection helps them relax and trust you as a practitioner more. Make sure when you converse with your patient, it is not your usual “doctor talk." Ask them about their day and go from there. The purpose of the conversation is to connect with them which will allow them to relax. Dental anxiety isn’t a new phenomenon and it is up to you as a dentist to make sure your patients are comfortable. So rather than ignoring their anxiety, ask them how you can help with it? Discuss with them exactly what the reason behind their anxiety is and address it. Explain to them the procedure and also mention how you can alter it to relieve some fear. If it is being scared to have a procedure done then you can even discuss anesthesia and sedation with them. The more solutions and information you share with the patient, the more positive they will be towards the treatment. One reason behind such anxieties is the fact that individuals aren’t aware of exactly what is to happen and how. Some patients remain anxious, no matter what. To help ease their minds a little, you can discuss having a stop signal with them. The signal can be something as simple as the patient raising their hand. The stop signal will prompt you as a dentist to stop the procedure once the signal is shown. Having a signal gives the patient some control over the treatment. This shows them that if the procedure gets too much for them, they can stop it which provides them with a sense of ease. As mentioned before, anxiety tends to take over when individuals aren’t aware of what is to happen. Explaining to your patient in detail the procedure can help reduce fear as they are more aware of what is to come. Be sure to leave no details out so if you plan on using anesthesia, tell them exactly what it does and how they will feel when anesthesia is applied. By being transparent with your patients, you get their approval for the procedure and also let them know what is to come so there is no surprise for them during the procedure. The interior decor of your practice plays a part in soothing fear of patients. Don’t have posters of gum disease or videos of dental procedures playing as patients wait in the waiting room. You want them to relax not trigger their phobia even more. Instead, what you can do is decorate your office with posters of healthy teeth and bright smiles. Have soft music playing in the waiting area to help patients relax as they wait for their turn to be treated. As the patient sits in the chair, you want to make sure they are as comfortable as possible. In this way, you don’t add to their discomfort. Offer them a blanket and position the chair so they are as comfortable as they can be. You can also offer some sort of distraction for them so they don’t have to think too much about the procedure. Give them a headset with music playing or have a TV installed in the room so they can watch something they like as the procedure goes on. While your approach may slightly differ, the above approach has been trialed and tested by dentists in Ocala and has worked for over a decade. 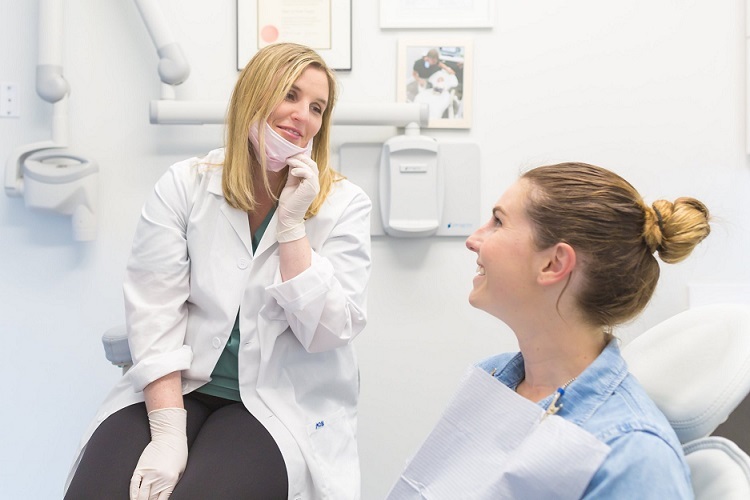 Forming a relationship and always putting your patients first is the key to any successful dental practice and it all starts with helping patients overcome their dental anxiety. Dr. Andrew Carlson is a registered dentist and a member of ADA. He is part of the VIPcare Dental team: a team of trusted dentists in Ocala, FL that values their patients and caters to all their dental needs.